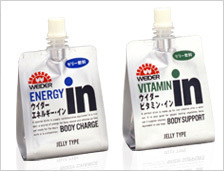 weider　Power Your Life. 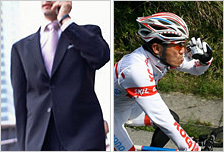 Morinaga & Co., Ltd.
Carbohydrates are a nutrient and source of energy. Typical examples include rice or bread, which contain a high percentage of saccharides. Monosaccharide Examples include fructose and glucose. Quickly digested and absorbed. providing long lasting hunger satisfaction. 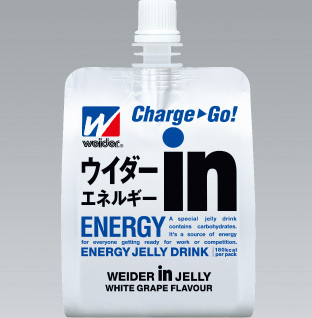 Dextrin makes up the majority of the nutrients in Weider in Jelly Energy In. Dextrin is digested and absorbed quicker than the starches found in rice or bread, making the drink perfect for sports. One pouch provides the energy equivalent of two bananas (180 kcal) and is perfect for quick energy replenishment before physical exercise or quick nutrient replenishment to substitute meals when you are too busy. 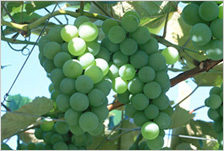 Additionally, the drink is fat-free so you can enjoy a guilt-free supper or snack. Before and after sports. 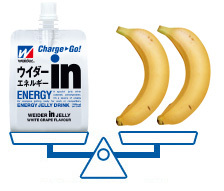 When you need energy replenishment. When working overtime and you are fatigued at work. Between meals.